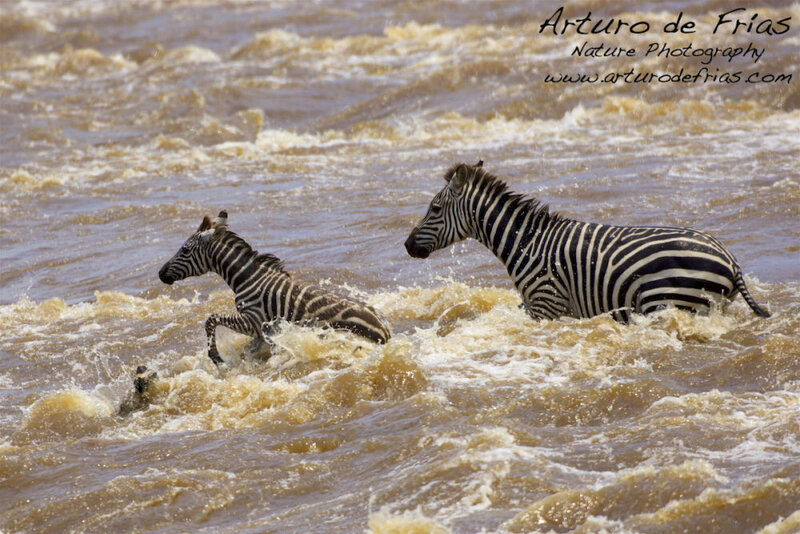 ARTURO DE FRIAS - WILDLIFE PHOTOGRAPHY: Come on! You can make it! Come on! You can make it! We had been waiting for a crossing already for a while (sometimes it takes hours for the first to jump, sometimes it just does not happen) when we saw a small group of Plains Zebra (Equus burchelli) crossing. Two calves struggled with the force of the rapids - one of them is almost completely covered by the water - but eventually reached the other side safely. Many of us cheered.